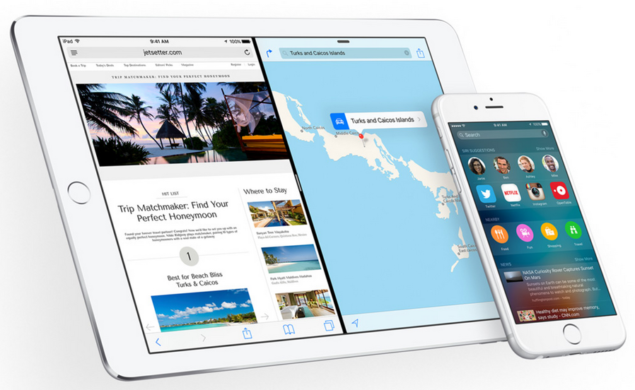 iOS 9.1 final IPSW download links for iPhone 6s, 6, 5s, 5, iPad Air 2, iPad mini, iPod touch and more are now live. 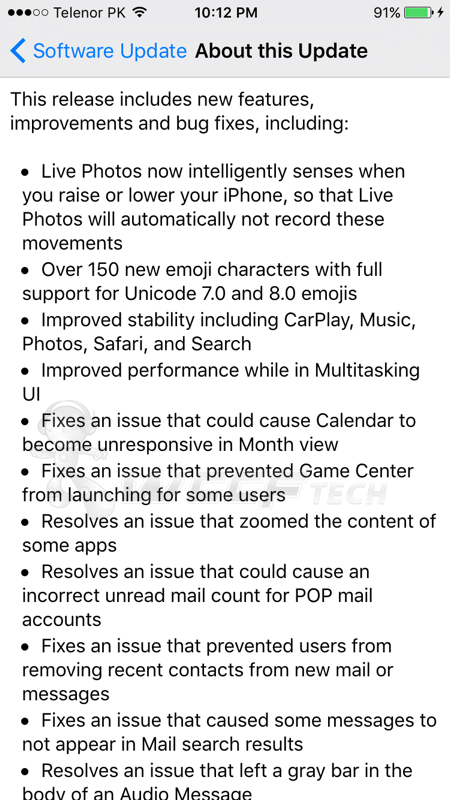 The complete changelog of the update can also be found here as well. 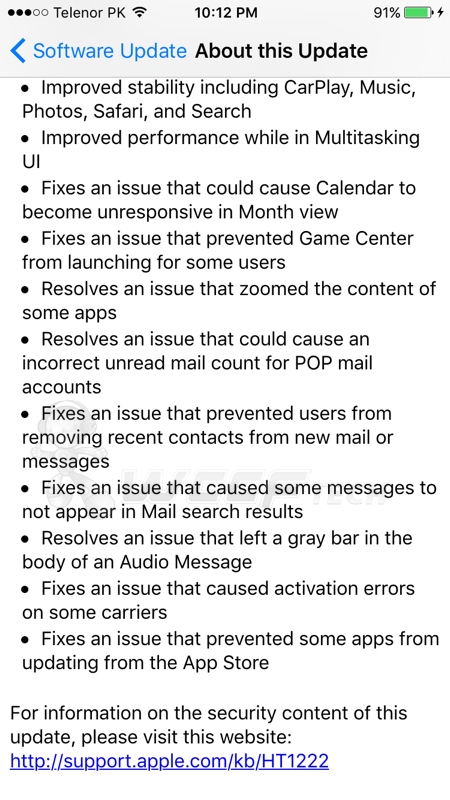 As you can see from the official changelog above, iOS 9.1 for iPhone, iPad and iPod touch is without a doubt a mighty update that aims to fix a lot of things. For starters, Live Photos on the iPhone 6s are now more smarter than before, which means iOS knows when you’re raising or lowering your smartphone, snipping out all the unnecessary bits from the final shot. 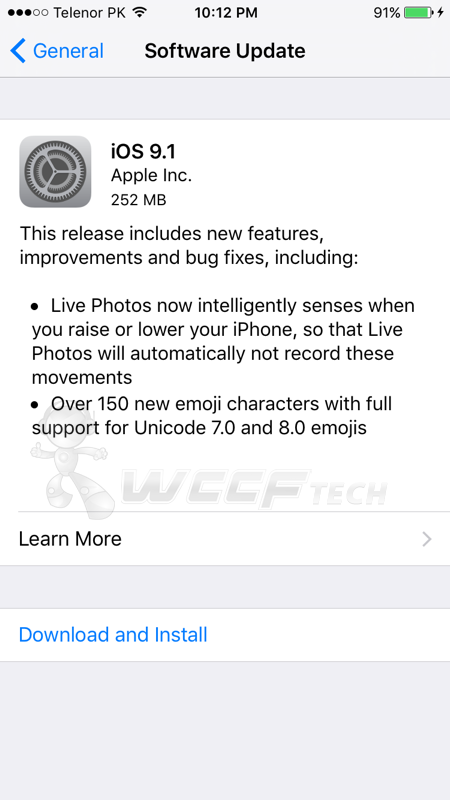 Furthermore, iOS 9.1 brings with it more than 150 new emoji characters, something which we’re sure many have been waiting for. 3. Look for an option labelled ‘Software Update’ and tap on it. 4. Given that you’re connected to a WiFi network and have more than 50% battery on your device, tap on the ‘Download and Install’ button. We highly recommend that you keep your iPhone, iPad, iPod touch plugged into a power outlet so that things go as smoothly as possible. The second route is the clean install one in which you restore your device using iTunes. And for your convenience, we have all the IPSW direct links for every device, including the new iPad Pro, down below. Jailbreakers, please stay away from this update till further notice, as we’re certain that this update will lay to rest the Pangu 9 untethered jailbreak for good.